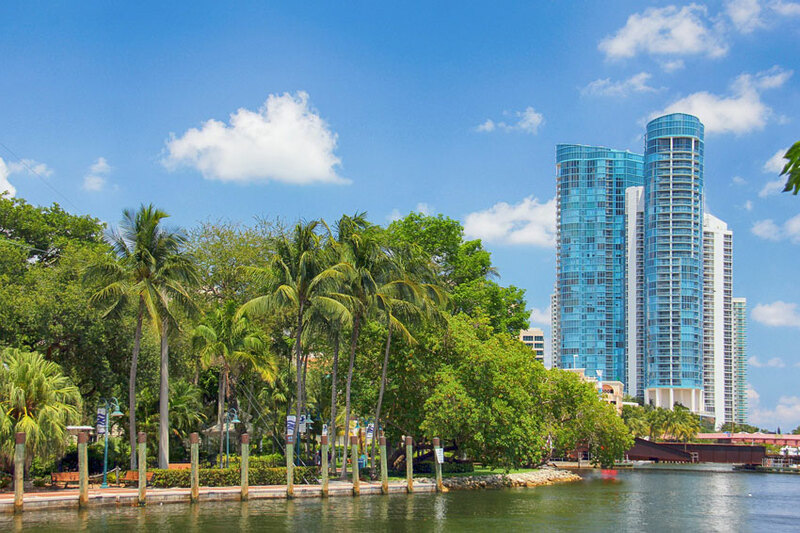 Builders in South Florida are continuing their development of new condominium buildings and rental apartments. I receive weekly calls about new buildings in the Downtown Fort Lauderdale and Flagler Village district. For the average buyer or real estate investor, it can be hard to find updated information on projects or information on the architect and developer. 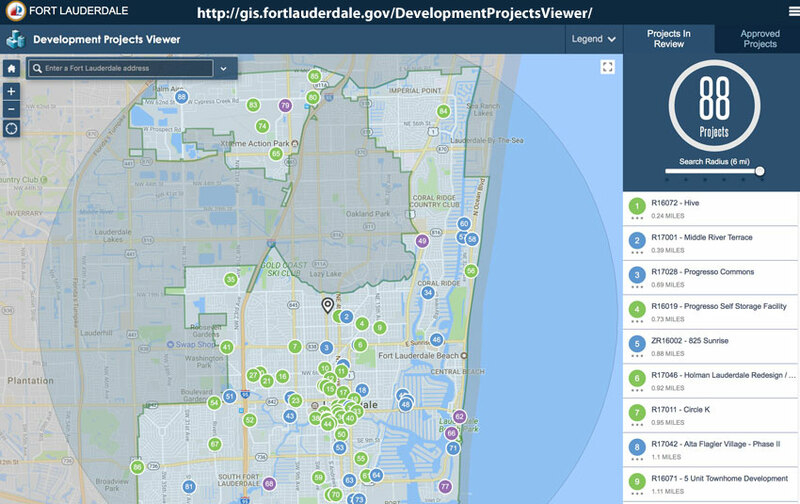 The City of Fort Lauderdale has created an online Development Project Viewer with the location and development information for approved and proposed residential or commercials projects within the city boundaries. In the below screenshot of the viewer, you can see in the upper right the site is separated into Projects in Review and Approved Projects. The color of the circle in the map designates which level of the application process the development is under: Green for Level II-Development Review Committee, Blue for Level III-Planning & Zoning and Purple for Level III-City Commission. Projects in Review have not received full approvals nor has construction begun. Generally, there will be no pre-sales information such as pricing at this time. Developments in the Approved Projects section may have pre-sales information available. These projects may still be in the planning stages or may be under construction. Some are completed and are currently for sale or rent and may already have occupants in the building. To get information on a specific development, either click the numbered circle in the map or click the name of the development in the list on the right. This will open up specific details on the project, including among the details the project number (important for the next step), the project’s address, the applicant’s name, and number of units (if residential). The last item in the details panel is a link to “Project Plans”. Unfortunately, this link only takes you to the home page of the Fort Lauderdale Development Review Committee. In order to obtain specific information on a project, you must click the link in the middle of the page for “Development Review Committee Agendas, Comments and Plans“. Once you arrive at the DRC Agenda, Comments and Plans page, you’re presented with a list of historical meeting dates and project numbers associated with those dates. This list has DRC information from 2001 to current day. To find information on a specific project, note the project number from the Map Viewer details, then search the page for the same project number on the DRC page. For example, the Alta Flagler Village Phase II has a Project Number of R17042. Searching for “R17042” on the DRC page gives me the date of July 25, 2017 and there are links in both the “BACKUP” and “COMMENTS” columns. The BACKUP link will give you the full developer’s site plan application. This can be a large file so give time for it to display. The COMMENTS link will give you the DRC Comment Report on the submitted application. Depending on the date of the documents of each project, information may no longer be accurate or changes may have been made by the developer based on the City’s Comment Report. Always consult with a licensed real estate agent to obtain the most recent status of any new developments.